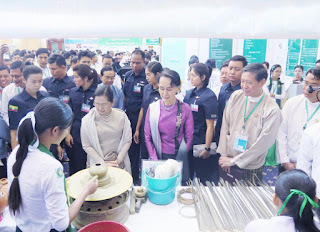 State Counsellor Daw Aung San Suu Kyi highlighted the gender imbalance in basic education staff and urged men to contribute more to the education sector. “We need the power of education. We will flourish socially and economically through education. We want teachers to be aware that basic education is the future of every citizen of our country. 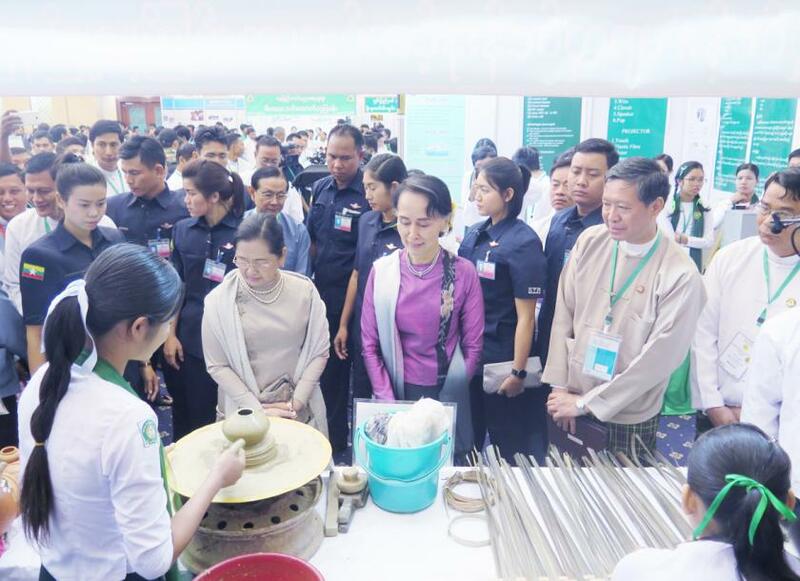 Thus, I call on men to participate in the creation of our graceful country,” Daw Aung San Suu Kyi said at the Basic Education Development Seminar in Nay Pyi Taw on Friday. Currently, there are nearly 400,000 basic education teachers, with 80 percent women and only 20pc men, Education Minister U Myo Thein Gyi, told The Myanmar Times. Low pay, restrictive rules and appointments to remote areas deter men from enrolling as teachers in basic education. Only those passionate about teaching embark on the activity, according to male teachers. Current wages for the basic education sector is K150,000 for primary school teachers, K160,000 for middle school teachers and K180,000 for high school teachers per month. Another reason for few males in the profession is due to a lack of social recognition, according to U Aung Thu, from the Basic Education Middle School Ma Ywee in Chanmyathazi township, who has 10 years of experience. However, the laws guarantee equal opportunity to become a basic education teacher. It all depends on the people’s interest, said U Win Maw Tun, deputy minister for Education. “Insufficient salary is just one of the reasons,” he added. Part-time earnings allow teachers to pursue teaching. However, others lack alternative source of income and are forced to give up their teaching career. “The main problem is insufficient salary and transportation is the next difficulty. Sometimes, I can’t collect my salary even though it is pay day as buses are not available every day. I could find commodities in the village but I didn’t have money to buy anything,” said U Kyaw Tar, a former teacher. He abandoned his career in education after serving two years in Mandalay Region due to insufficient income. Since becoming a teacher requires long years of studying, the government must seek ways to provide incentives according to performance and locations, said Ko Naung Htet Aung, education officer for the Student Union of Yangon University of Education. “Although salaries are really low, I will become a teacher after university. There are so few men due to the low pay. First, the government should create benefits if it wants to hire more male teachers,” he said.